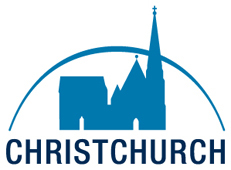 What is it that we have in common at Christchurch? What gives us our shared purpose? What is our passion? It is this: we are united by our love for Jesus and our relationship with God in the strength of the Holy Spirit. This gives us meaning for life. Belief is much more than signing up to a list of statements; rather, Christian faith is a life-long journey of discipleship, and so, as a church, we encourage, affirm, allow and delight in everyone’s faith journey. We support learning, exploring and growing in faith, in order to allow us to become the people that God wants us to be. Following Jesus enables us to have a personal relationship with God. Through prayer and in the strength of the Holy Spirit, we seek to share God’s love, live a life of peace in harmony with creation, and pursue justice for all. We are shaped by the traditions of our two parent denominations (the Methodist Church and the United Reformed Church), but we openly respect other Christian traditions and other people of faith. We engage enthusiastically with the Bible and seek to develop our understanding in a contemporary context. Christchurch wishes to be inclusive, and welcomes anyone who wants to join us on our Christian journey. A copy of the Belief & Belonging statement is available for you to download and print.